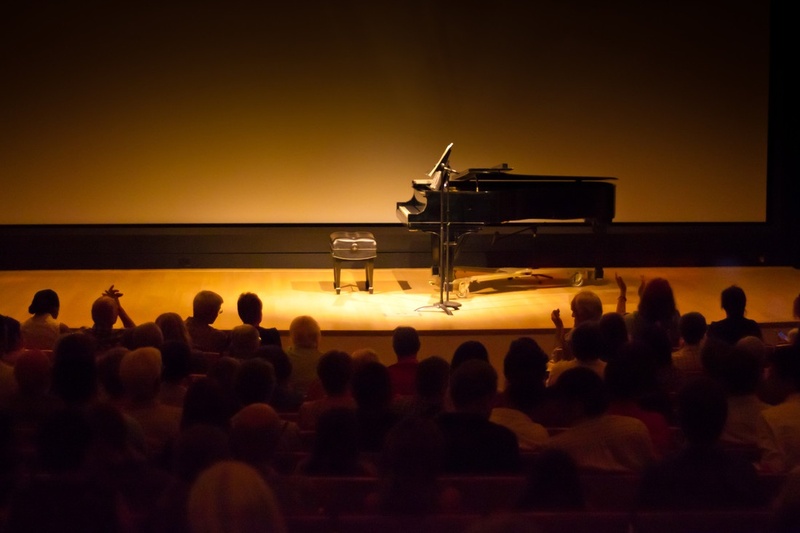 For more than 50 years, the Crocker has proudly presented it’s Classical Concert Series, a monthly concert featuring the finest musicians and singers from around the region and across the world. Performances are 60 minute concerts with no intermission and draw a connection to the art on view at the Museum and offer audiences a chance to hear a variety of classical music, from Baroque to contemporary. Performers are selected by the Crocker’s Classical Concert Music Board based on experience, quality of proposed program, and, most importantly, talent and musicianship. We’ll kick the year off by bringing together three of the region's most sought-after musicians – clarinetist Sandra McPherson; cellist Susan Lamb Cook; and pianist John Cozza – TriMusica will present a concert of classical music from the 18th to early 20th centuries. Featuring works by Mozart, Brahams, and the Russian-born Swiss composer, Paul Juon, this will be a not-to-miss concert of compelling music performed with the outstanding skill and singular musical subtlety of TriMusica. Michelle Xiao You, famed violinist of the Sacramento Philharmonic and Opera, will present a virtuosic program featuring European composers of the late 19thcentury. Performing works such as Franz Schubert's Arpeggione Sonata, Vittorio Monti's Cardas, and Edward Elgar's romantic Love's Greeting, Michelle You will wow audiences with her passionate delivery and exemplary musicianship. Join famed Sacramento soprano Susheel Bibbs in March for an afternoon of art songs inspired by works in the Crocker’s permanent collection. Built around the theme of “Songs of Love and Parting,” Bibbs will be accompanied by baritone Omari Tau and pianist John Cozza, for a program filled with heartfelt emotion and incredible talent. Known for her theatricality as well as her scholarship, Bibbs has created a program to include works by Debussy, Schumann, Gershwin, and more. Renowned classical guitarist Aaron Larget-Caplan will return for his second appearance at the Crocker Art Museum to showcase the powerful connection between music and visual art. The program will include Larget-Caplan’s own arrangement of John Cage’s In A Landscape, which perfectly evokes the stillness of a landscape; and movements from Modest Mussorgsky’s homage to art, Pictures at an Exhibition. A series of Bach’s preludes and fugues arranged by Larget-Caplan, and a tour-de-force performance of the picturesque and evocative modern masterpiece Legend of Hagoromo by KeigoFujii will round out this special concert. All concert tickets include full Museum admission. Prior to all classical concerts, enjoy a docent-led tour of works in the Crocker's permanent collection to help put the music in context with the art. Prelude Tours are open to all visitors. The Crocker’s classical concert series is only possible thanks to our partners, Capital Public Radio, our Crocker members, and donations from people like you.